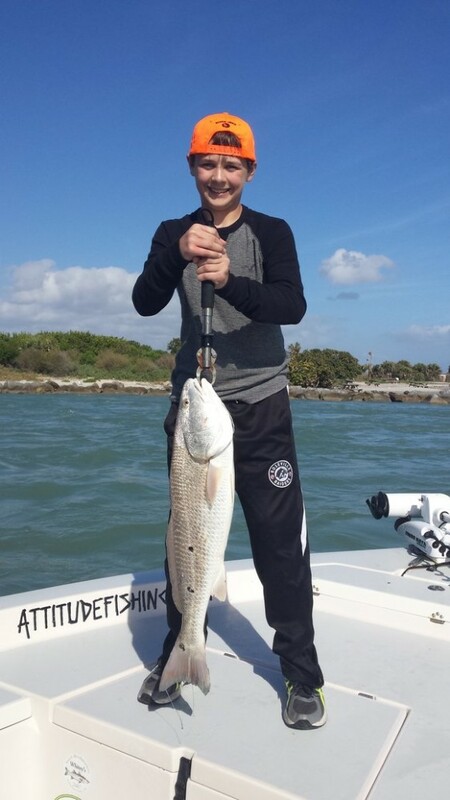 Redfish, Snook, Jacks, and Goliath with attitudefishing. Steve, Steve, James, and Patti. The winds are blowing pretty strong. The tide is incoming to about 12 p.m. We hooked up some Redfish but had a hard time getting them to the boat. We did land one and also caught a juvenile Goliath Grouper. Once the tide switched we started Snook fishing. James caught 2 Snook, one was a keeper. We also had a couple of Jacks. We ended around 2 p.m. Thanks Steve, Steve, James, and Patti for fishing with attitude. It was a pleasure to fish and meet you. Rough windy weather in Sebastian Inlet. Jerry, Greg and Will. The weather has been really windy. The water is super rough and dirty. Snook fishing is out of the question. It is barely doable on the incoming. 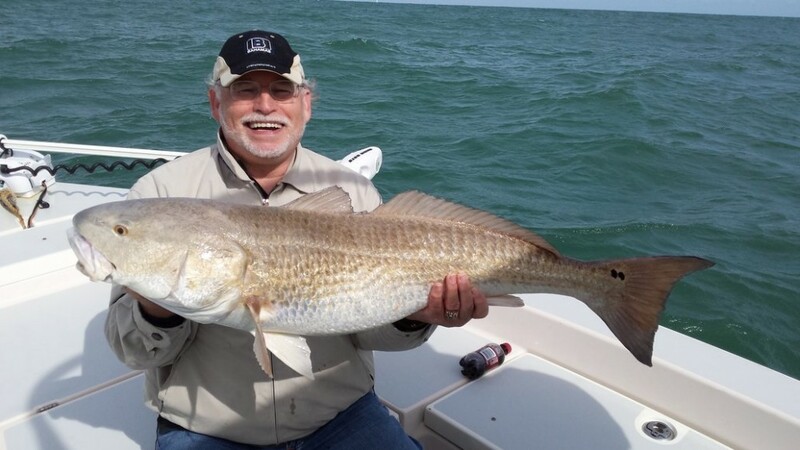 We managed to catch a few Redfish today even with the bad conditions. It ended up a pretty fun day. Thanks Jerry, Greg, and Will. It was nice fishing with you. Redfish on the Attitude Adjustment. Ken B. We started off Snook fishing but no luck. We went on the Cobia hunt also no luck. 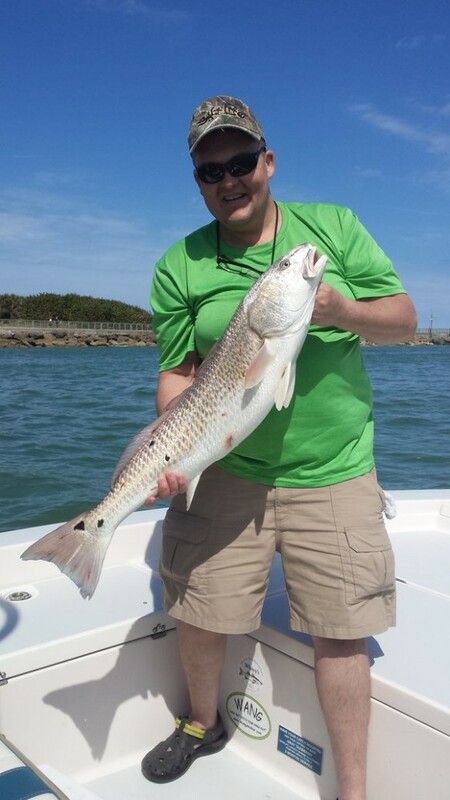 We ended up back at the Sebastian Inlet and caught some Reds on the incoming tide. It was Kens first time catching Redfish. We had a good day. Thanks Ken for fishing with attitude, it was a pleasure to meet and fish with you. 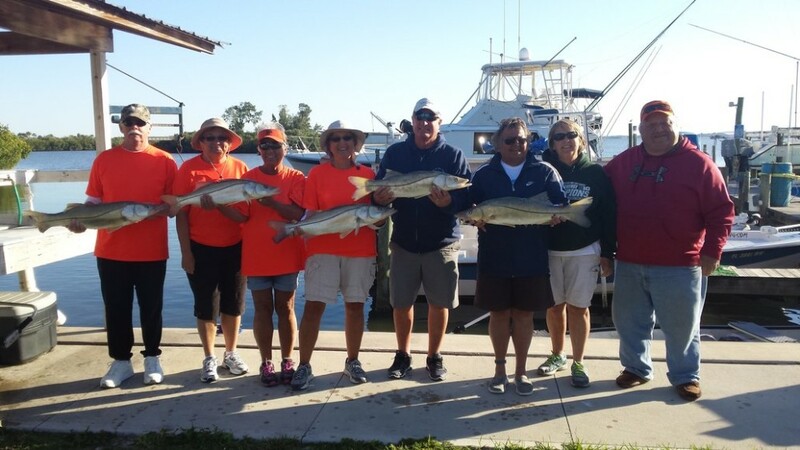 5 keeper Snook, 2 boats fishing Sebastian Inlet. 5 keeper Snook, 2 boats fishing Sebastian Inlet. 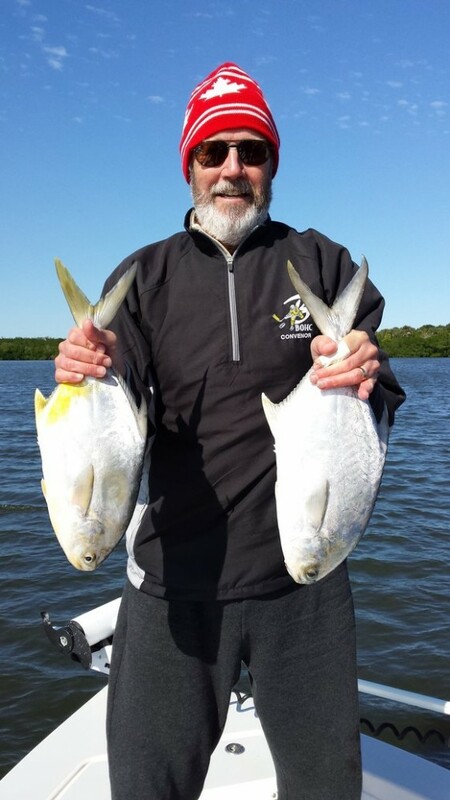 Great day split a trip with Capt. Mike. Vicki and her friends had a great afternoon. 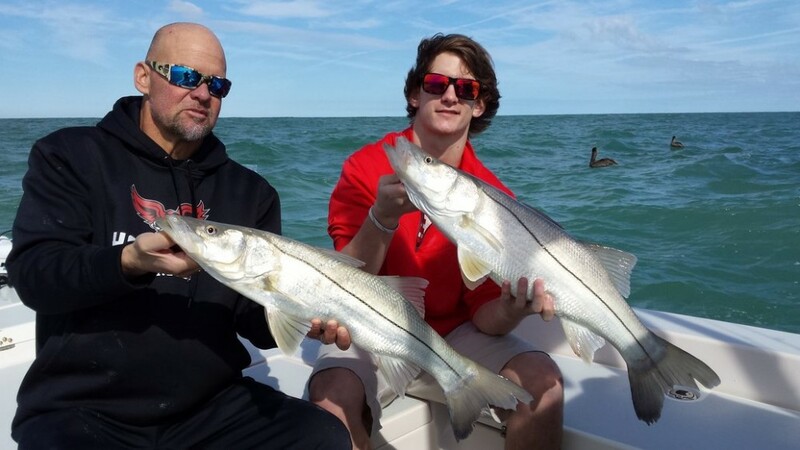 They caught lots of Snook and between the 2 boats took home 5 keepers. 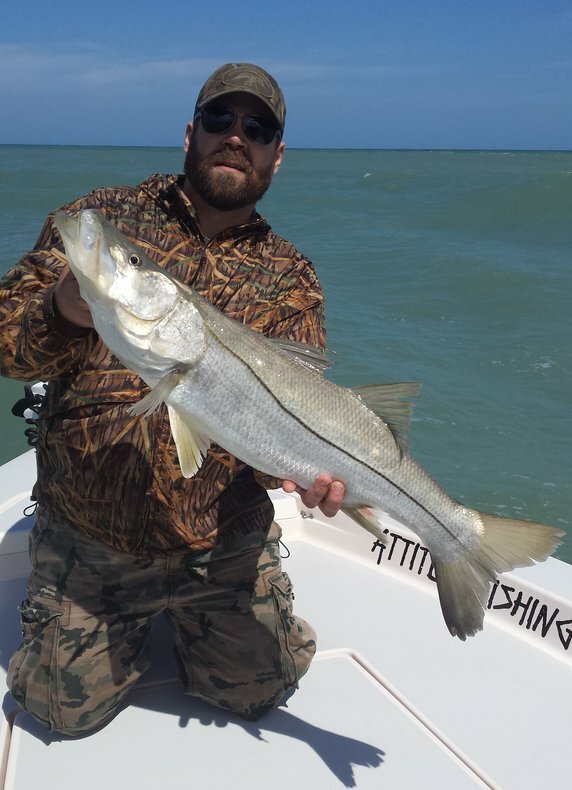 Snook and Redfish mid February Sebastian Inlet. Sissy and Dee had a good day on the Attitude Adjustment. We fished for Snook and Redfish. Sissy caught a keeper Snook. We had several other Snook hits but for some reason were having a hard time getting a hook to set. The winds also picked up and it got pretty choppy. Once the tide switched to incoming the Reds started to bite. 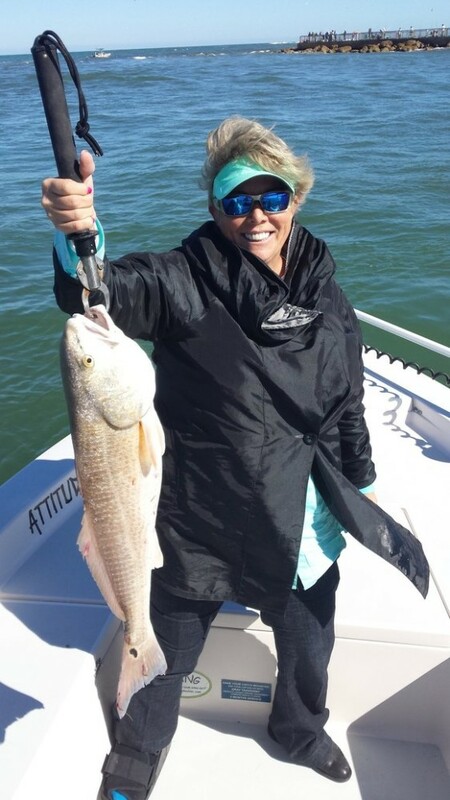 Dee caught a few nice Reds. After a few Redish we called it a day. Thanks Sissy and Dee for fishing with attitude. It was a pleasure fishing with the both of you. Redfish were chewing for the Attitude Adjustment. Bryan, Bill, and Evan. We met up in the morning at The Inlet marina. The tide was outgoing inside The Sebastian Inlet. It was a beautiful day. We never had a Snook on the outgoing tide but when it switched to incoming the Redfish turned on. 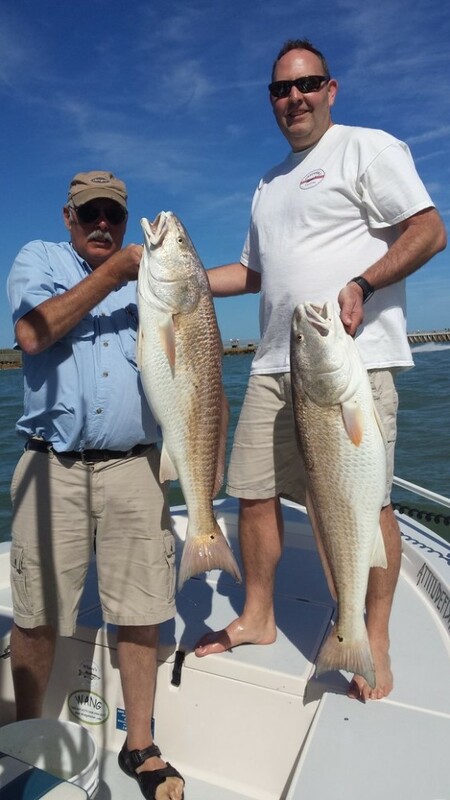 Bryan, Bill, and Evan each caught a couple of nice Redfish. They all averaged around 25lbs. Thanks guys for fishing with Attitudefishing again. Winter has arrived, water temp. dropping, Sebastian Inlet. Dan and Mike. Snook, Redfish, and Pompano with attitudefishing. 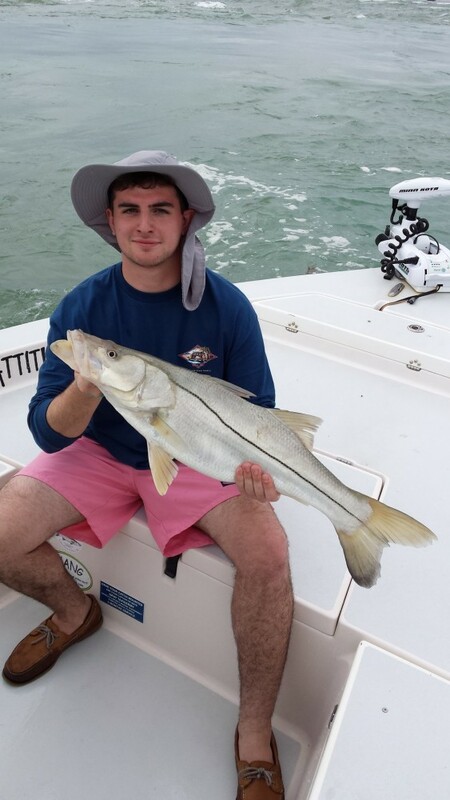 Snook fishing Sebastian Inlet in mid January.